Golden Rule Short Term Insurance is NOT Currently Available In Washington DC. Short Term Health Insurance Plans are a valuable source of coverage to those who are in need of urgent coverage. Coverage is normally effective upon approval by the next business day. Since most individual and family plans are underwritten, a process that may take upto six weeks, it is advisable to apply for a short term policy since these are usually very reasonable and offer almost instanteneaous coverage while you wait upon the underwriting to process. Short Term Plans are also helpful while you are waiting for your employer offered group health plan to be effective. Depending on your employer's policy new hires may have to wait for a period , so much longer than others. If you do not have any other coverage or if your Cobra is too costly, you may want to consider temporary short term insurance for that period before you coverage starts. While short term plans are very effective in the above mentioned cases and many others, these plans are not in anyway intended to replace normal permanent insurance plans. One will find that while the premiums are lower the underwritting is stricter and the benefits may be more limited. 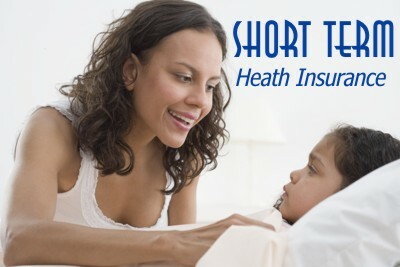 There are a variety of reasons that you may find yourself in the market for temporary or short-term health insurance. You may have graduated from college and can no longer be covered on your parent's policy, but don't have a job yet that will provide coverage. You may have lost or left your job and now need health insurance coverage until you find a new one. Or you may have started a new job and have to wait a period of several months before you are covered under their plan. Whatever the reason, going without health insurance coverage, even for a few months, can be a costly gamble. If you find yourself in this predicament, temporary health insurance coverage may just be the key to solving your dilemma. Jimmy is the publisher of http://insurance-quote-puppy.com/car-insurance . He provides more insurance information and offers free home, life, health and auto insurance quotes on his website.